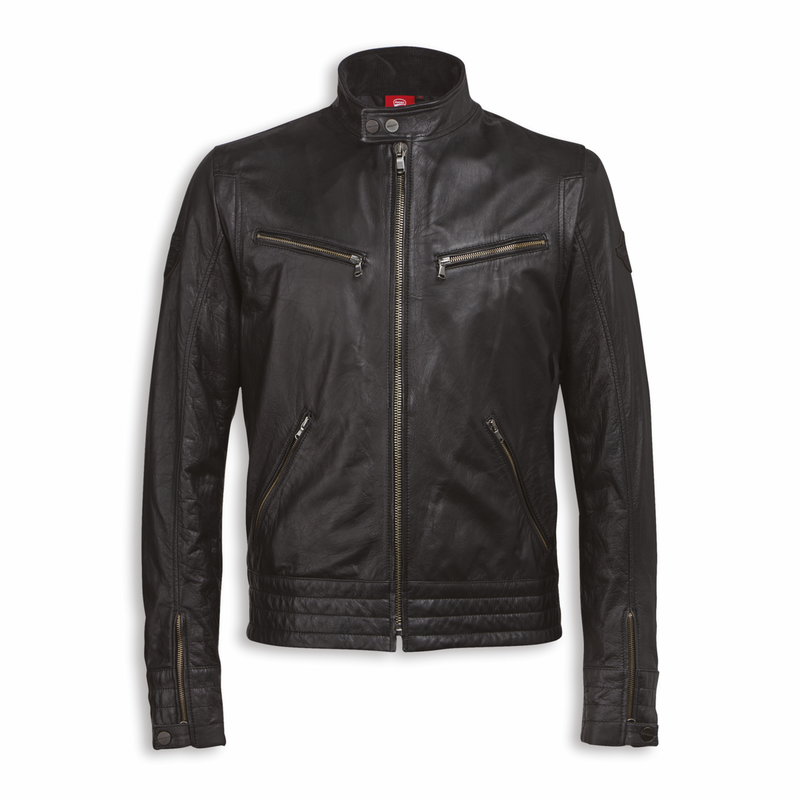 The Vintage jacket in sheepskin is a modern interpretation of an historic look. 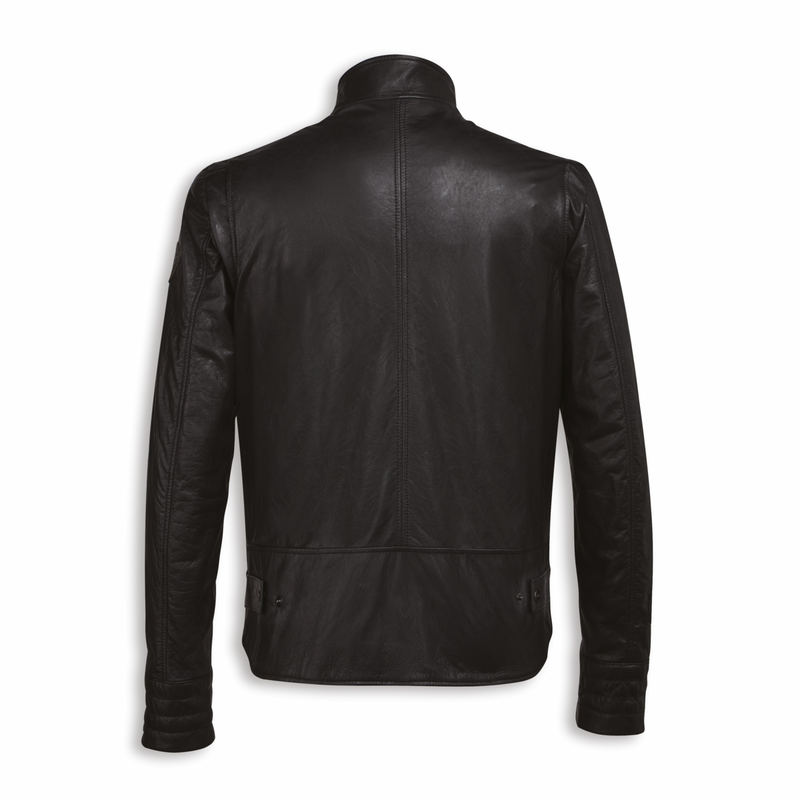 A fashionable garment, with clean and essential lines. The soft leather, which undergoes natural treatments, retains a pronounced softness, ensuring exceptional comfort for those who wear it. 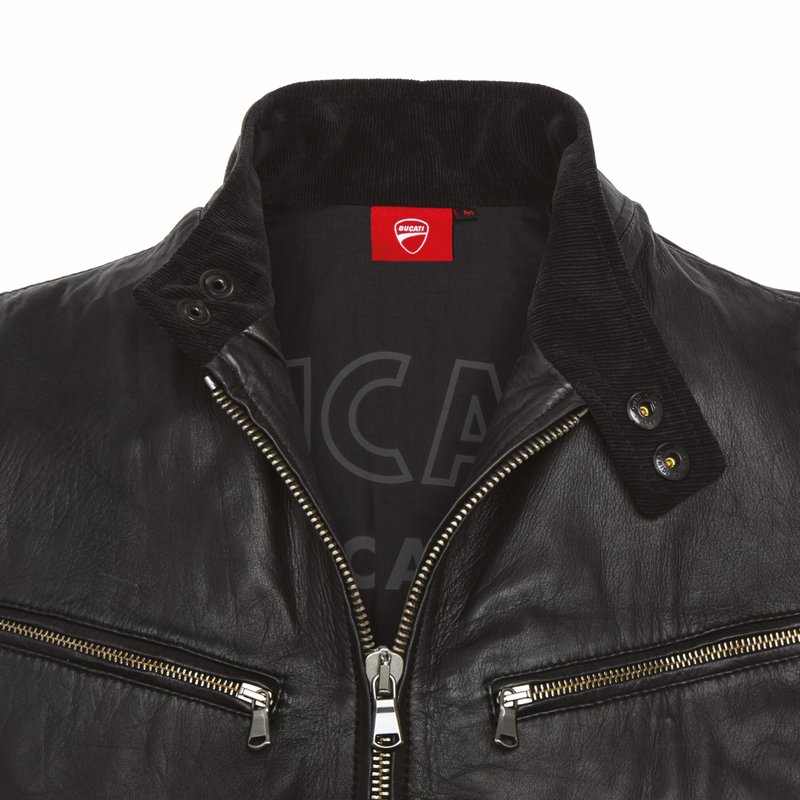 The tone-on-tone patches embroidered on the sleeves and the personalised lining with iconic Ducati Meccanica logo keep Ducati history alive with style and passion.